Nellie Mae “Long Lady” Hamilton passed away on Monday, December 18, 2017 at Lake Park Nursing Home of Madison. 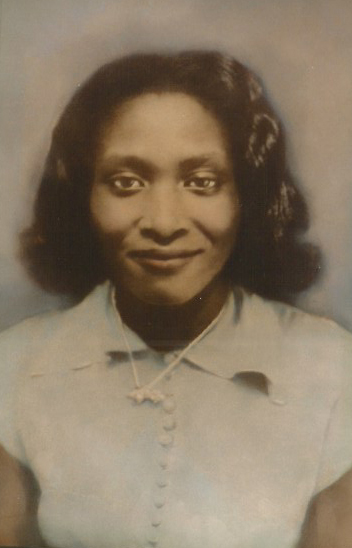 She was born April 1, 1925 to Enoch Mosley and Eliza Hall. She was the “baby girl” of 13 children. She was affectionately called “Nellie Blye” by her closest friends. She attended Madison County public school in Madison, Florida. She was converted at an early age and joined Mt. Zion AME Church. Later in life she became a Jehovah Witness and served until Jehovah God called her home. Nellie Mae was joined in holy matrimony to Seward E. Hamilton on September 25, 1954. Their union was blessed with two children, Seward E. Hamilton, Jr. and Redell Hamilton. She worked as a cook, maid, provided nursing care, and at Gold Kist. Her legacy of motherhood skills was extended through her years as a foster parent to numerous children in the State of Florida Foster Care system, whereas, she received numerous honors. Also, an outpouring of love and adopted a foster son. Nellie Mae was preceded in death by her parents and twelve siblings. Also, preceding her in death were four of her beloved children: Herbert (Patricia) Simmons, Willie (JoAnne) Frazier, Redell Hamiltion, and Donald Williams. Nellie Mae leaves to mourn and cherish her memory seven devoted sons: Lennon (Annie J) Davis of Tallahassee, Florida; Dr. Seward (Denese) Hamilton, Jr. of Lloyd, Florida; Ronald Williams of Madison, Florida; Bobby Williams and family of Lauderhills, Florida; Robby Williams of Tallahassee, Florida; and Phillip Hamilton; one devoted daughter: Betty Gardner of Tallahassee, Florida; sixteen devoted grandchildren: Patricia Simmons; Willie Frazier; Derick (Michelle)Frazier; Melinda Michelle Arnold (whom she raised from birth); Clinton (Tamiqua ) Davis; Victor Davis; Lyndric Harris; Yvette (Marcus) Stennett; Willie Gardner (Lailoni) IV; Danielle (Brandon) Neal; Seward (Cherie) Hamilton III; Thoreau Hamilton (Ayanna); Irene (Allen) Pope; Tanzana Williams; Bobby Williams; and Robby Williams: seventeen devoted great-grandchildren: DeMecia and Tidossi Frazier; Jasmine Arnold, Marilyn Edmonds, Takeia Davis, Shanise and Wesley Davis; Anderson and Ciera Stennett; Shantel and Shemar Neal; Willie Gardner V; Jauree, Dia and Imani Hamilton, Kari Hamilton, Asha and Aria Pope, (Tanzana’s children); two devoted sister-in-laws: Carrie Hamilton and Lillie Mae Hamilton, three nieces: Estella (Paul) Cosby of Jacksonville, Florida; Eliza Deyounks of Fort Lauderdale, Florida; Bebetha Whitfield of Burbank, California; Maggie Hall Fudge of Perry, Florida; and one nephew: Albert Hall of Perry, Florida; a host of nephews, nieces, great nieces, great nephews, cousins, other family members and friends.